Are you feeling that afternoon slump and reaching for coffee or other caffeine to power through? Is your sleep inconsistent and often interrupted? Are you finding yourself needing more and more coffee to get through? Follow along to learn How-to Take a Break from Coffee and Why You May Want to Consider It. I am not one of those die-hard, ride or die coffee drinkers who’s been at it every morning for many, many years. There was a very long time, during the middle of my healing journey that I wasn’t able to handle any coffee at all. Even a single cup would cause extreme jitters and serious feelings of anxiousness. After I healed my gut, went through an extensive liver detox and rectified my adrenal fatigue, among many other things, I did a little experimenting and low and behold, me and coffee were friends once again. We would connect occasionally when I was craving it. Generally it was Boosted, as I found this lessened any jitters straight up black coffee might cause. Overtime I created my own Healthier French Vanilla Coffee Creamer for those folks in my life that wouldn’t give up the sketchy store-bought stuff. 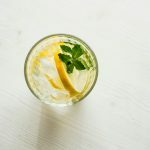 I learned to make my own cold brew at home and I even fell in love with a Mint Mojito Iced Coffee number and found myself adding it to keto granola. But, some time last year my occasional cup of coffee, only when it sounded good, turned into an every single morning thing. It became part of my morning routine and the ritual of it became as much a part of the craving (or more) as the caffeine itself. Then my one 8 ounce cup of coffee in the morning turned into 12 ounces. Suddenly my life included the occasional afternoon coffee. Sometimes even an evening cup. This evolved into me craving coffee when I felt that afternoon slump hit and I would actually at times find myself smelling it, even when it wasn’t around because my brain was lusting after it so deeply to give me that boost. I was finding myself traveling and making plans for how I would get that perfect cup of coffee on the road. It was fine. Because in my mind, coffee has so many wonderful health benefits and if a light caffeine reliance was the worst thing I had going for me, I would say I am doing pretty good in life. After all, at this point I have chosen to basically all processed foods and for the most part all grains, dairy, legumes, sugar, etc etc all to manage my health and autoimmune symptoms. Just let me have my dang coffee. When consumed in moderation coffee can provide a range of benefits including reduced risk of cancers, diabetes, stroke, Parkinsons diesase, Alzheimers disease, cardiovascular disease and more. 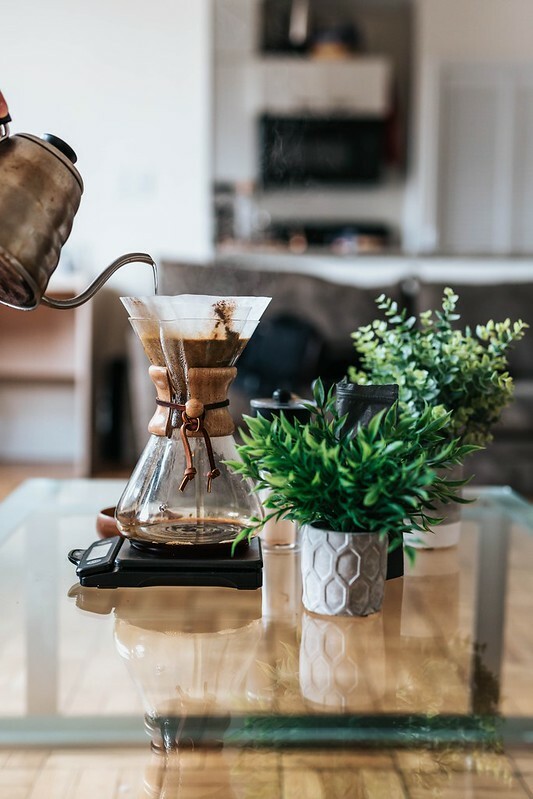 It’s also important to note that some of coffee’s benefits are directly attributable to it’s caffeine content, (which is why antioxidant and polyphenol rich caffeinated teas have also been found to be are attributed with good health). I do think it should be noted here that it is important to always select high-quality organic beans (and teas) as these are two of the most heavily pesticide and herbicide sprayed crops in the world. 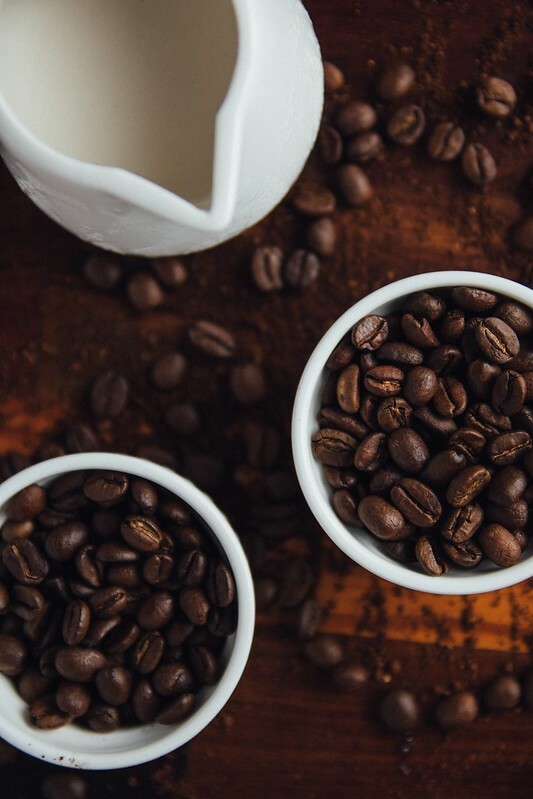 As well, fair-trade certified coffee should also be prioritized to be certain that coffee growers around the glob are given a fair deal, so they can benefit their communities, improve their business and protect their environment. Coffee farmers are often disadvantaged small scale producers in developing countries. Coffee isn’t all rainbows, unicorns and magic – it is after all still a stimulant, due to the caffeine, which affects our central nervous system, it will raise the stress hormone cortisol and adrenaline and they can stay elevated for up to 6 hours, affecting energy levels and our circadian rhythm which can very negatively impact our sleep habits. Habitual consumers of caffeine will also see much more dramatic increases in cortisol production in response to everyday stress (running late, traffic) than for someone who doesn’t consume caffeine – all of which can lead to long term adrenal exhaustion. Caffeine of any kind causes cortisol to be released, how much so is dependent on the individual but chronic output of cortisol to the central nervous system can disrupt the natural balance between your sympathetic (fight-or-flight) and parasympathetic (rest and digest) nervous system. With daily consumption of caffeine our bodies will certainly adapt on some level to not producing quite as much cortisol in response to the caffeine – but we never achieve complete tolerance. High doses of caffeine can flood the brain with excitatory neurotransmitters, creating neurotransmitter resistance or long-term receptor damage. 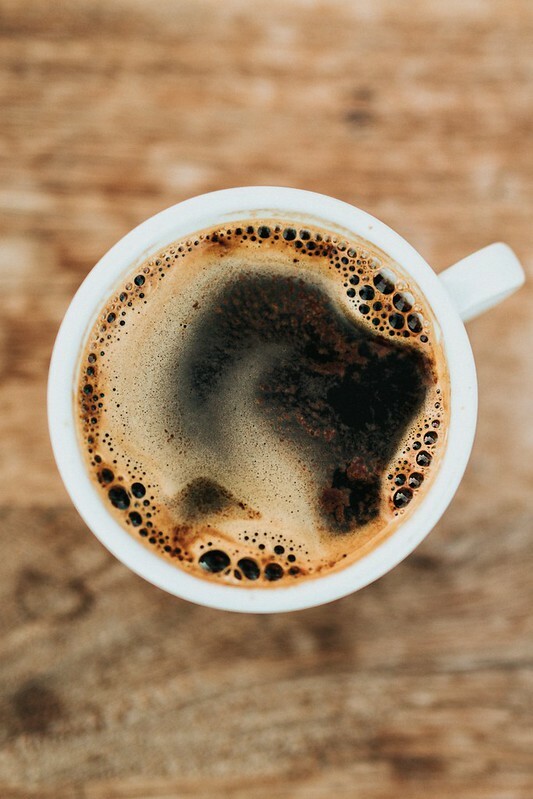 The reason that caffeine from coffee or tea (or other sources), makes us feel more awake and energetic is due to the blocking the sleep signal generated by adenosine, a protein waste product that accumulates over the course of a day. 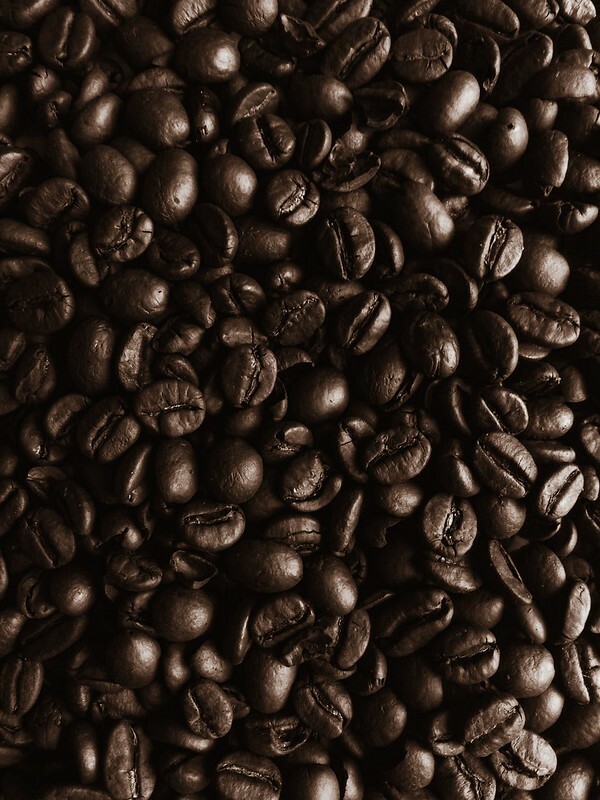 Much of how caffeine affects our bodies is highly dependent on genetics. We all know the person that has 1 cup of coffee and they are wired all day long, and then of course, there is person who has 8 cups throughout the day without much issue and can even fall right to sleep after an espresso shot. It is important to note that everyone responds differently to coffee, depending on genetics. 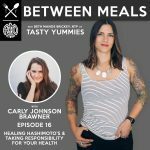 (to learn if you are a slow metabolizer of caffeine, which would mean you tolerate far less caffeine than a fast metabolizer, you can take a simple genetic test like 23andme.com) For those genetic slow caffeine metabolizers, they may also experience an increase in blood pressure and may be at a higher risk for a cardiac event. 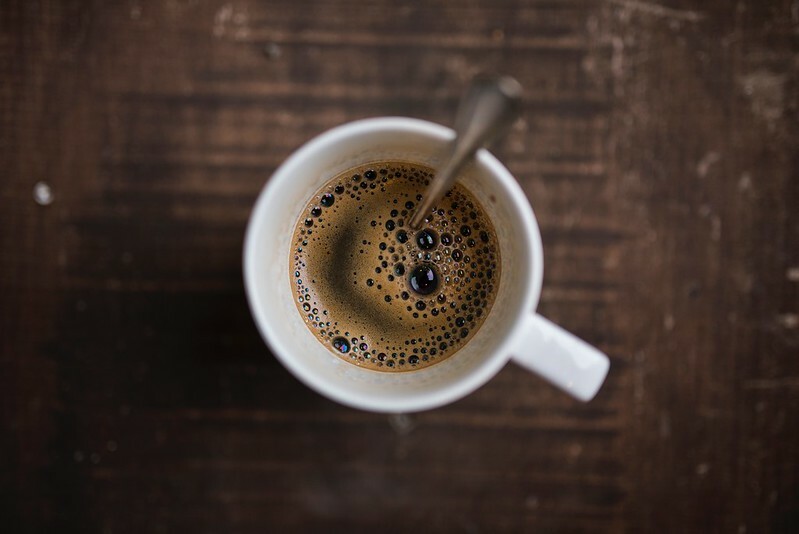 With or without genetic testing, it’s always best to listen to your body, if you have a jittery feeling, best to assume you’ve reached your threshold for caffeine. If you already have difficulty managing stress to begin with or struggle with anxiety – caffeine of any kind will not be very helpful to you. Caffeine has also been shown to increase insulin production in people who have type 2 diabetes, so those with diabetes and pre-diabetes should consider abstaining or at least consuming minimal caffeine. Some people report that coffee upsets their stomach or triggers heartburn, this is because coffee’s acidic nature stimulates the secretion of the gastric hormone, gastrin, which results in excessive secretion of stomach acid and can increase intestinal peristalsis (the coordinated wave-like contraction and relaxation of intestinal muscles that causes bowel movements). This means, especially if you are consuming coffee on an empty stomach and stomach acid is being produced, if there is no food for the acid to work on, it may create those feelings of acid reflux. Coffee also stimulates the hormone cholecystokinin (CCK) which stimulates the release of bile from the gallbladder, along with digestive enzymes. As you may recall (from our Digestion 101 series) if things are working as they should bile is released in a properly functioning digestive system to break down fats and neutralize the acid in our digested food. With gallbladder dysfunction we can have non-neutralized digested food traveling through and irritating our gut lining. This is all seen to be true for decaffeinated coffee as well, as these affects have not been attributed to caffeine but rather to the coffee itself. A Much Needed Break. It’s Not You, Coffee. It’s Me. A few weeks back I was aware that I was feeling far more anxious than usual. Anxiety isn’t a typical struggle for me, so I really took notice. I also started to notice it was taking more and more caffeine than usual for me to feel that awoken feeling in the morning. While I enjoy the ritual of coffee making as art of my morning magic, I also didn’t like feeling like I HAD to drink something in order to get my day started. And then of course there were those mid-day crashes and coffee cravings. It just wasn’t a good look on me. For people who use frequently use caffeine-containing coffee, tea, soda or energy drinks. they actually change their brain’s chemistry and physical characteristics over time. Because it is both water and fat soluble, caffeine can easily cross your blood-brain barrier, and as you dump more and more caffeine into your body, your brain cells actually grow an excess of receptors for an inhibitory neurotransmitter called adenosine. Adenosine causes feelings of tiredness, but the structure of caffeine closely resembles adenosine – so caffeine can easily fit into your brain cells’ receptors for adenosine. Here’s the thing, it’s quite simple to kick a caffeine habit and “reset” your adenosine receptors, with a quick 7-12 days of caffeine avoidance. 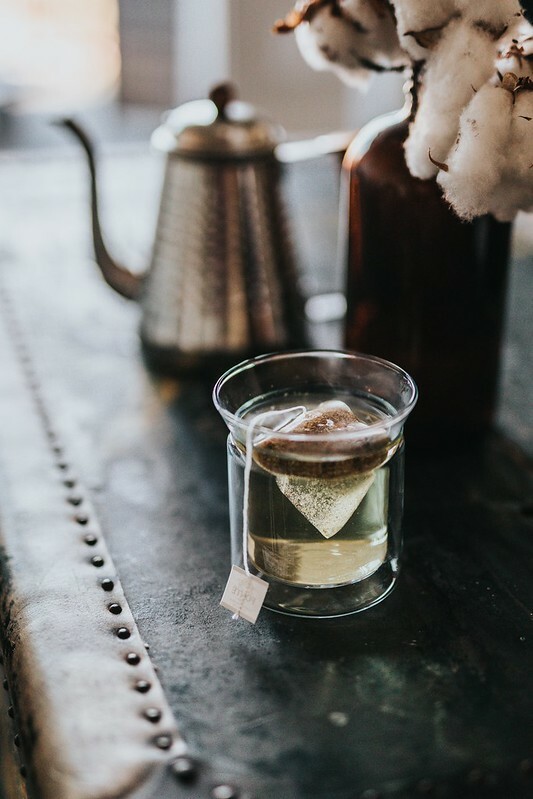 A simple short-term shift to herbal or decaf teas, herbal coffee replacements or decaffeinated coffee and taking a week-long break from regular caffeinated coffee about once every one to two months. 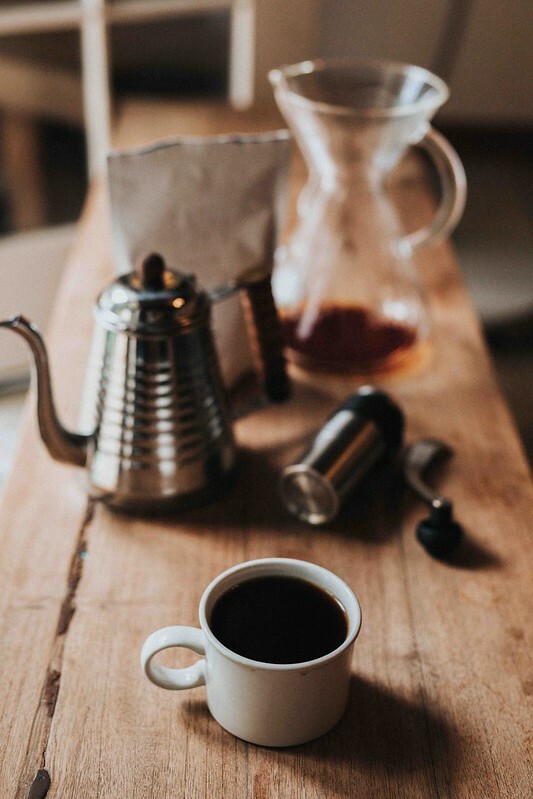 I have found by making the shift to a high-quality Swiss Water Process Organic Decaf coffee it has allowed me to maintain my morning rituals that involve the beautiful aroma of the beans and the ritualistic process of starting my day in the manner, without exhausting my neurotransmitters. You can of course, also switch to tea or other non-caffeinated elixirs to start your day. I have been enjoying iced herbal teas in the afternoons. Obviously, if you find that after the 7 to 12 days caffeine and/or coffee just so clearly wasn’t working for you, maybe it becomes a long term thing. That’s for you to decide. Maybe you shift away from coffee and instead adopt a new matcha ritual, (like my friend Diane recently did). As always, I’m just trying to give you all the information so you feel empowered to make the best decision for YOU! Tomorrow’s post offers a full guide to a 14-day caffeine reset, including easing in vs cold turkey and what to expect. Stay tuned for that and join us for a caffeine-free challenge beginning on June 1st. If you are very sensitive to caffeine and have a caffeine intolerance or allergy (you probably aren’t even reading this), but it should be noted that some decaffeinated coffees and teas can contain very small, trace amounts of caffeine, we’re talking 3-10mg per 12 oz cup (to the contrary regular caffeinated coffee can contain up to 300mg per 12 oz cup). 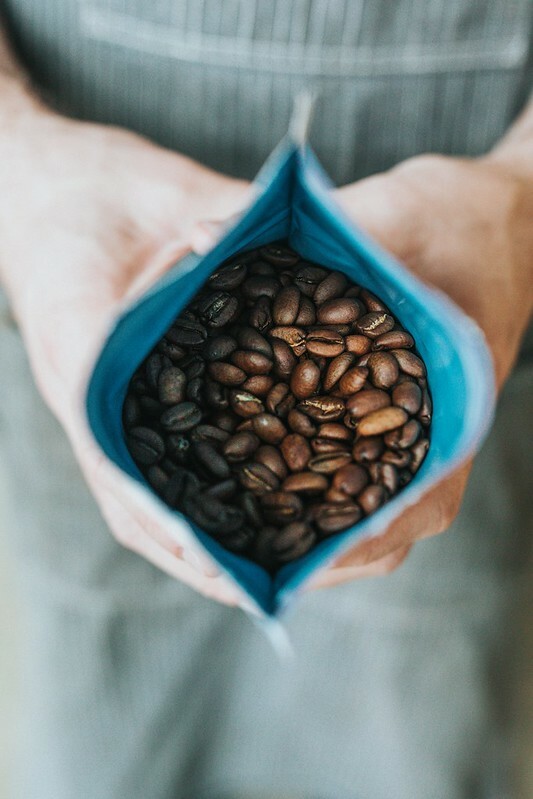 It is important to look for Swiss Water Processed Decaf, as other decaffeinated coffees use chemical solvents to trips to beans of caffeine and it may leave residue on the beans. The reason I have opted for decaf vs herbal teas, during my caffeine break, is the realization that I had surrounding the morning ritual of my coffee and how important it is to me. Whenever I attempted a caffeine break and tried to replace my regular coffee with herbal tea, if always fell flat and it took the joy out of my morning routine so the motivation to take the caffeine break and make the change was never successful. So, if opting for decaf made it to where I could easily take a break, I think it’s alright by me. While I have read that decaffeinating can never remove 100% of the caffeine and some claim that even using a Swiss water process can be altering the beneficial phytochemicals in the beans, I think that if the purpose of your break from caffeinated coffee is to reset your neurotransmitters and give your adrenals a break, you will certainly get that with decaf coffee. I am definitely not advocating long term consumption of decaffeinated coffee but I think it’s a lovely option in the context of this approach. 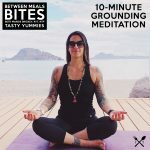 Regardless if you take breaks from caffeine or not, or plan to give this a try once in a while, if you are a slow metabolizer or not, I generally recommend to all of my clients, no coffee after 2pm. This allows our body to settle into it’s natural circadian rhythms and by bedtime we can count on a quality restful and sound night’s sleep. For regular drinkers, missing a dose, ahem I mean a cup, this can bring on serious withdrawal symptoms, like fatigue, headaches, anxiety and moodiness. This can make the idea of taking a caffeine break daunting, overwhelming and downright scary. If going cold turkey for a week or more is intimidating or if you are certain you will experience unmanageable withdrawal symptoms – try easing your way into the break. Switch to gentler sources of caffeine like green or black tea or try a half decaf cup of joe, to start. (I really LOVE a Matcha White Hot Chocolate as a gentler alternative to caffeinated coffee). Give it a few days and work your way toward being fully caffeine free, by only consuming herbal teas or try a high-quality decaf*. After 7 to 12 days, see how you feel, you may find a reduction in anxiety, better sleep, better stress coping skills, etc. If you like the benefits of caffeine but you find that coffee is too extreme, you may want to consider consuming gentler sources of caffeine like black or green tea – matcha is a lovely option, too. Remember coffee should never be a meal replacement or a stand in for nutrient-dense whole foods. 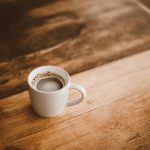 Check out my full in-depth guide to a 14-day Caffeine Reset and how you can join us October 15 for a Caffeine-free Challenge the perfect way to reset your caffeine tolerance.